K-2SO is not the first robot Alan Tudyk has played. He also portrayed one in the 2004 Will Smith film I, Robot—and he initially thought that’s what Rogue One director Gareth Edwards wanted to talk to him about the first time they spoke. Tudyk also didn’t realize that the technology he was going to be able to use to play K-2SO had so vastly improved since 2004. The first time Tudyk saw what K-2SO would look like was on a visit to Industrial Light and Magic in San Francisco. He was brought to a large room and fitted with stilts, and was able to see his movements mirrored as the droid. It was in those few hours that he figured out how K-2 would move. 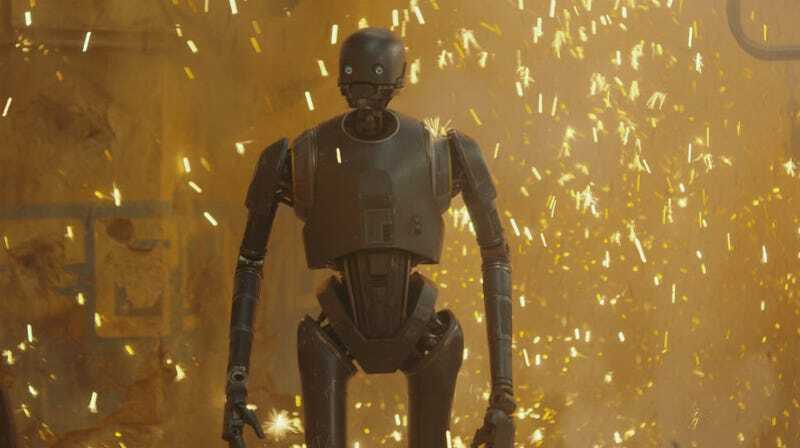 Months passed after that visit before the people making K-2SO fully realized what the character was going to be. Rogue One is out on Blu-ray now.